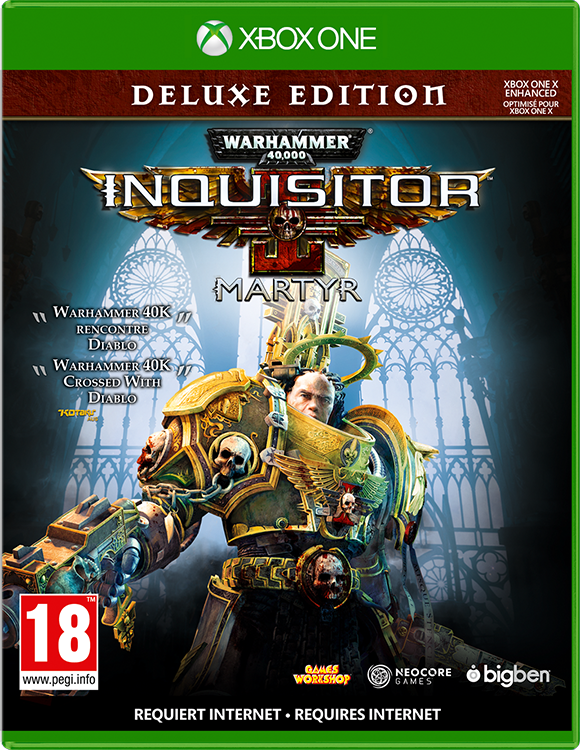 ﻿ Warhammer 40,000 : Inquisitor - Martyr released on consoles! 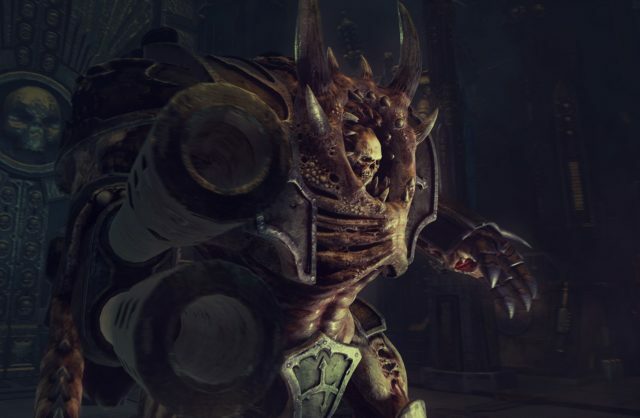 In Warhammer 40,000: Inquisitor – Martyr, you are an Inquisitor, one of the most powerful agents of the Imperium. You operate in the Caligari Sector, a region which has been overrun by heretics, mutants and the Daemons of Chaos. 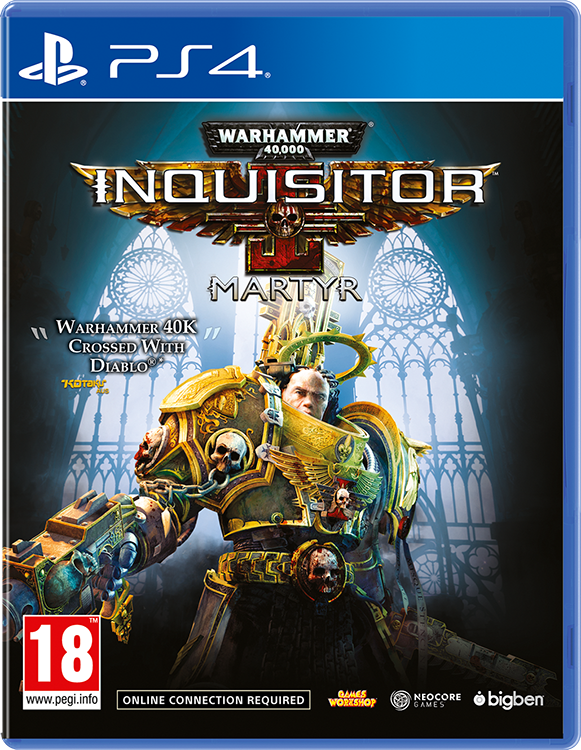 Warhammer 40,000: Inquisitor – Martyr, the first action-RPG set in the Warhammer 40,000 universe, features both fast-paced and tactical combat. From destructible environments and a cover-based combat system, to skill trees, vehicles and a wide range of weapons, the game offers a truly unique experience. The game is also set in a persistent universe, which boasts incredible replay value thanks to its size and a randomly generated mission system. Eliminate Chaos as a Crusader Inquisitor, take down abominations with guile and agility as an Assassin Inquisitor or fight fire with fire playing as a Psyker Inquisitor. 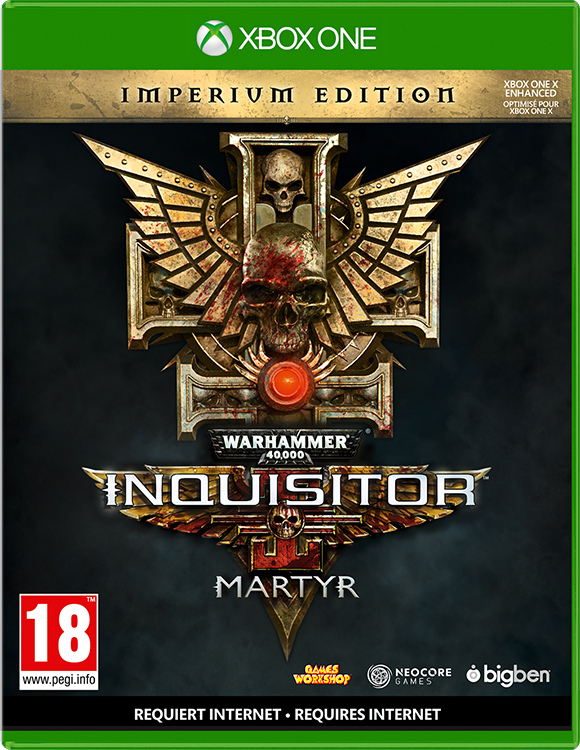 In single player, two-player local co-op (exclusively on consoles) or four-player online multiplayer you must enforce the will of the Emperor and cleanse the darkest sectors of the Imperium of heresy. Imperial decoration: two statues representing the Emperor’s might to decorate the game hub. Skull trail: this exclusive animation will leave a trail of flaming skulls behind you like footprints. Skulldust emote: surround yourself with the dust from the crushed skulls of your enemies with this exclusive emote. Includes all of the content from the Deluxe version. The Season Pass featuring a lot of additional content, such as brand-new investigations, new campaigns with additional loot and extra emotes. 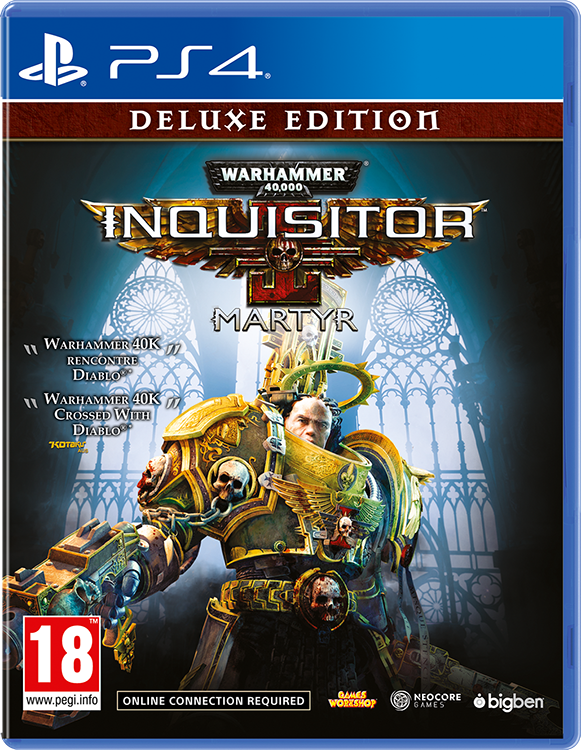 Physical and digital versions of Warhammer 40,000: Inquisitor – Martyr are available now on Xbox One and PlayStation®4. The digital PC version is also available on Steam.